When you click the link above, it'll bring you to a slayer tool. 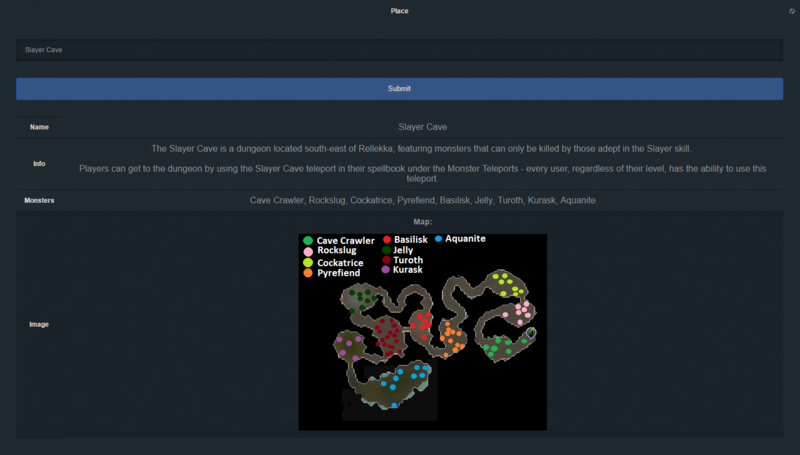 This tool will allow you to select any slayer monster, slayer master, place\location, potions & crashed stars locations and when you click "submit", it will tell you everything you need to know about it. You have 5 forms, one for monsters, one for masters, one for potions one for places\locations, and one for crashed stars locations. You can switch between the forms by pressing on one of these and it'll organize accordingly. You can put in your slayer task(monster name) and it will print the information about it. 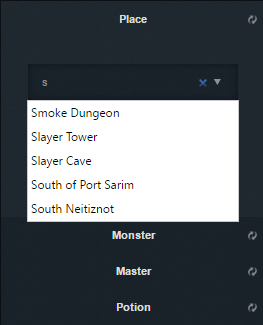 As you type it will auto suggest you completion of monster names. You can press on a location name in the location row in order to be redirected to the place searching form with the results of that place. You can put your combat level and slayer level and it will print information about the slayer master that fits your levels. You can specify if you are a donator or not so it knows whether to consider Kuradal slayer master or not. You can put in a name of a potion and it will print the information about it. 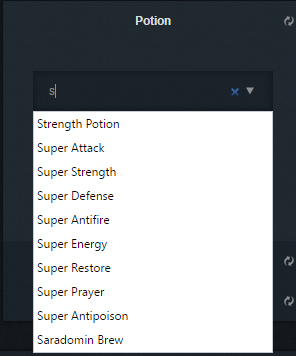 As you type it will auto suggest you completion of potion names. You can put in a name of a place(dungeons\cities and so on) and it will print the information about it. As you type it will auto suggest you completion of places names. You can press on a monster name in the monsters row in order to be redirected to the monster searching form with results of that monster. You can put in a name of a city and it will print the information about the places a star can crash in that specific city. As you type it will auto suggest you completion of names of cities that a star may crash at. The in-games views(a picture of how the place looks in-game. You can press to get a full table of all monsters\masters\potions info.